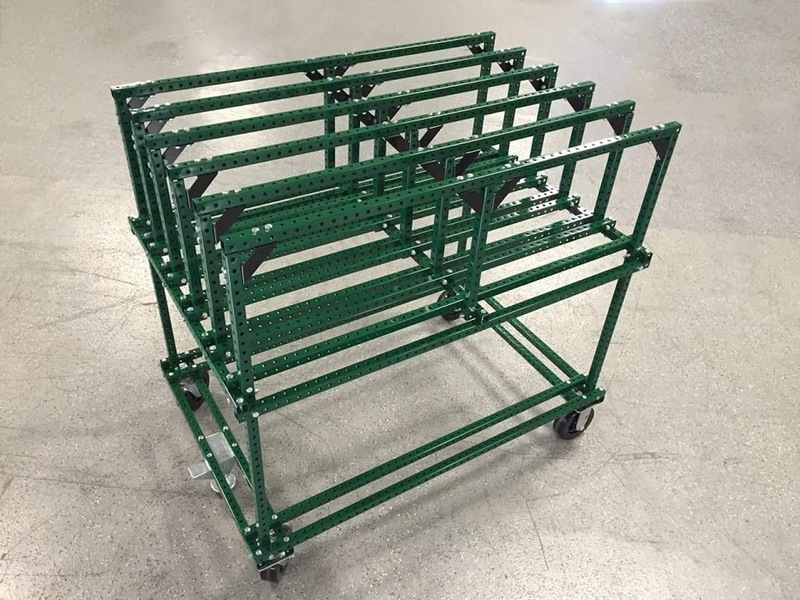 This storage unit is designed to sort and store the various size tubes and accessories within your Flex Craft assembly area. Contact Flex Craft for pricing today. Complete with assembly instructions, labels, totes, surfaces, etc. 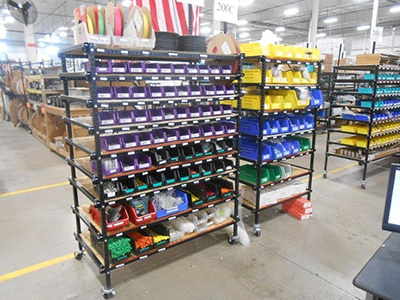 Bin storage that allows the user to color code bins that house parts based on size and options. Making this system visual saves time and aids in inventory control. 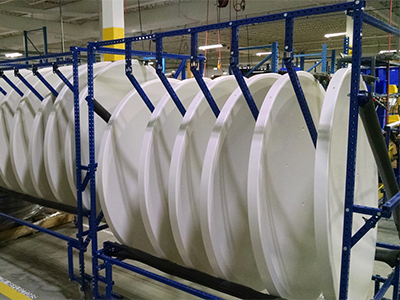 Vertical Storage for part containment and protection. Making it visual allows employees to identify where items need to be replaced based on demand. This Super Market Storage area allows for massive storage of a variety of items. 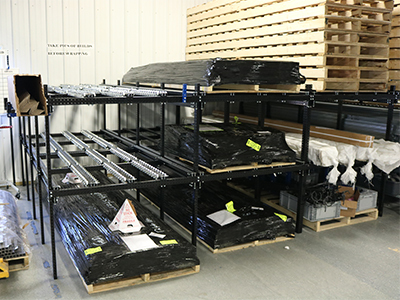 With the added flow rack, it becomes a massive FIFO providing proper rotation of inventory. Separate and store parts or finished product individually while providing protection. With the added casters, move it as needed where needed. 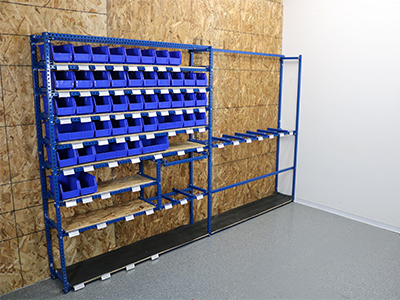 Save valuable floor space with a raised pallet storage system. Organize your shipments based on delivery schedule.